Rossada Innovative Solutions is a company specialised in providing business consulting services. Our organization counsels the players active in urban and metropolitan transport and urban planning with expert services for business development in a competitive and open to innovation environment. Based on close to 15 years of experience on the railway and public transport markets, we have designed our tailored B2B business services to match the expectations of a growing and on-the-way-to-mature market. In order to answer the specific needs of each business organization Rossada Innovative Solutions has developed the Rossada4Business program. • solutions for sustainable transport systems and urban development. 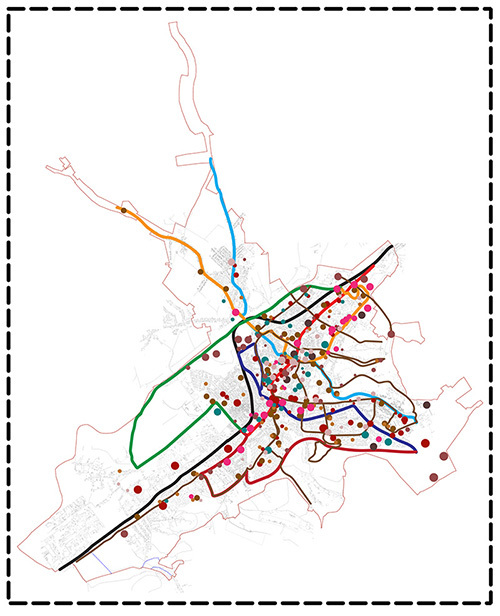 The urban and metropolitan mobility and urban development markets witness a fast developing phase. Helped by EU and other international grants and the recovery of their respective economies, cities look for technical and strategic solutions to upgrade and extend their rail and road infrastructures and public transport fleets, alongside building a new skyline and new expanded borders. We work with public authorities alongside services and goods suppliers to provide them access to the best solution in its class and business new opportunities to grow.